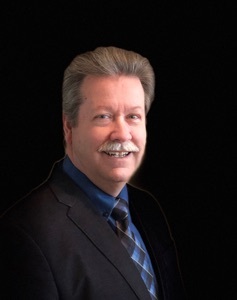 Dr. Timothy (Terry) Durbin’s unique brand of teaching excellence makes him one of the most sought-after clinicians/conductors in the country. With infectious enthusiasm and inspired musicianship, he brings smiles and laughter to students throughout the United States and around the world. His dynamic teaching career includes over 800 workshops and institutes! His performance and teaching career stretches across the United States and Canada into Bermuda, Germany, Italy, China, Hong Kong, Malaysia, Indonesia and Singapore, and he has recorded two CDs, including the complete chamber music of Marcel Dupre for the Naxos label. He has directed the South Dakota and Montana All State Orchestras. He is the holder of the American Suzuki Institute Suzuki Chair Award for 2013. Terry Durbin is also an accomplished composer and notable arranger. Dr. Durbin holds a DMA in orchestral conducting from Claremont Graduate University in Los Angeles, California, a Masters in violin performance from the University of Illinois, an undergraduate degree in violin performance from the University of Alabama, and is currently the director of the Suzuki String Program at the University of Louisville. He is a registered teacher trainer with the Suzuki Association of the Americas. Terry lives with his wife, Sandy, on 140 acres north of Lexington, Kentucky. They have three children and two grandchildren. He believes in the magic of music’s power to enrich our lives. 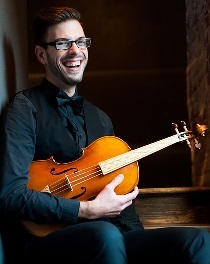 Michael Hill teaches all levels of viola students while maintaining an active performance career. The Suzuki viola studio will include a Viola Choir in addition to private instruction. With attention to ear training and technique from the very beginning, Mr. Hill's students hold principal positions in school orchestras, performing arts schools, youth orchestras, and all- county/state orchestras. Several have continued to BM and MM degrees in music. Upholding Dr. Suzuki's belief that Every Child Can, Mr. Hill seeks to find a way for every student of every age to find joy in making music and in their personal efforts and goals. Lessons and coaching are fun and interactive, challenging students to think critically and apply their knowledge in solving problems and developing new skills. He also serves as Director of the Suzuki Studies Program and the Louisville Suzuki Summer String Institute. He has performed as an orchestral and chamber musician at the Aspen Musical Festival and School and as principal violist with the Opera and Music Festival of Lucca, Italy. He regularly performs as Baroque violist with Bourbon Baroque and has performed with The Bloomington Bach Cantata Project, and the Indianapolis Baroque Orchestra and has recently performed with a young artists program through Tafelmusik Baroque Orchestra. He is currently a member of the viola section of the Paducah Symphony Orchestra and principal violist for the Lexington Chamber Orchestra and the Carmel Symphony Orchestra. In performing and teaching Mr. Hill seeks to share music with others through education and efforts making classical music more accessible to the public. His experience includes work with new beginners through college students and he is eager to contribute to the viola community in Louisville. Franzeli (Celi) Sharp’s love for the violin began at age six when she started Suzuki Violin lessons at the University of Louisville, School of Music, Preparatory Department, which is now called the Community Music Program. She was granted a scholarship to the University of Louisville to study violin in 1996. She holds a BA in Music from the University of Louisville. Her teaching career began in Elizabethtown, Kentucky in 1996 with individualized lessons for children ages three through fourteen. In 2001 she started teaching in Louisville and decided that teaching the Suzuki Method was her choice as a career. Franzeli has held positions in Louisville at Wheeler Elementary, Golden Tree Middle School and the Waldorf School of Louisville. 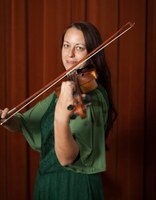 She currently teaches Suzuki violin at The Arts Institute at Indiana University Southeast, at the Louisville Classical Academy and at the University of Louisville, School of Music, Community Music Program where she has taught since 2001. Franzeli has completed and registered Suzuki Teacher Training courses from the “Every Child Can” and “1A/1B” introductory courses through the “Book Ten” advanced level with the Suzuki Association of the Americas and has observed Suzuki teachers and classes to review training every year. Franzeli has been a Suzuki Mom since her daughter started to play the violin in 2003.